While this announcement is a little outside the purview of WarbirdsNews, we thought we’d pass along the information, as it sounds like a really interesting event. 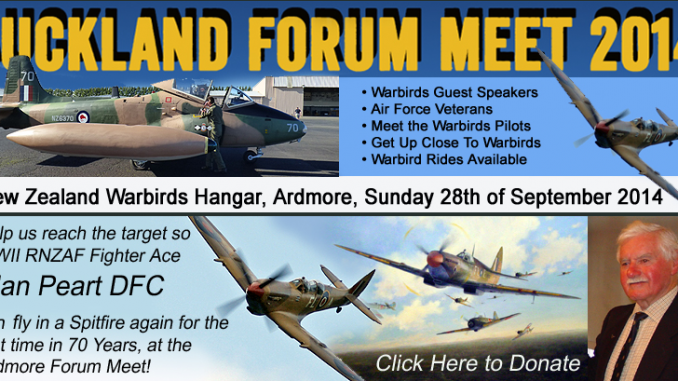 Dave Homewood, who runs the exceptional Wings Over New Zealand Aviation Forum is organizing a special gathering for forumites and fellow aviation enthusiasts at the New Zealand Warbirds Hangar at Ardmore Aerodrome, near Auckland, New Zealand on September 28th. The guest speakers include such prominent names as Warren Denholm, whose company Avspecs Ltd. is well known for its world-class warbird restorations (de Havilland Mosquitos and Curtiss P-40s being a specialty), world renowned aviation photographer Gavin Conroy, along with some of New Zealand’s (and the world’s) best warbird pilots Gavin Trethewey and Brett Nicholls. 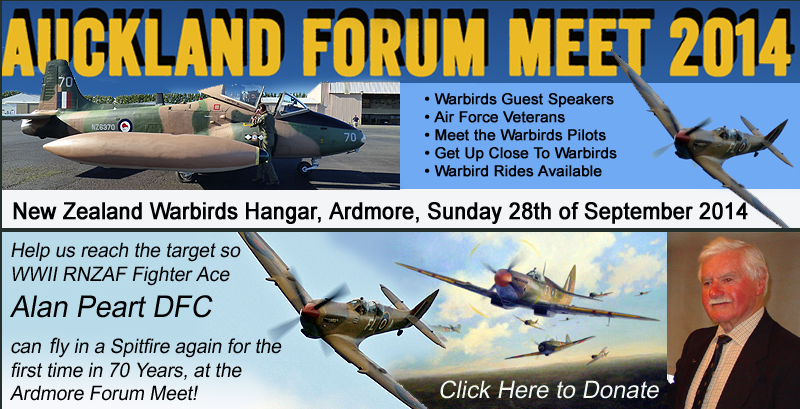 Meet The Warbirds Folk: This will be a great opportunity that you don’t usually get at airshows and the likes to meet the pilots and ground staff of NZ Warbirds in person and talk with them about flying various warbirds or about the association, etc. Get Up Close: You’ll be able to get right up close to the New Zealand Warbirds aircraft collection, and possibly even have a guided tour from someone who owns, flies or operates the aircraft. Warbirds Rides: There will be an opportunity for you to book a bucket list ride in many of the warbirds. Ardmore is the main centre for warbirds rides. Have you ever wanted a ride in a Spitfire, Kittyhawk, Mustang, Strikemaster, Dakota, etc? The start time is 10:00am and tickets are NZ$20.00 per head, but please make sure to contact Dave Homewood at dave_daasnz@hotmail.com to register for your tickets, as they really need to know how many people want to come (numbers may be limited). 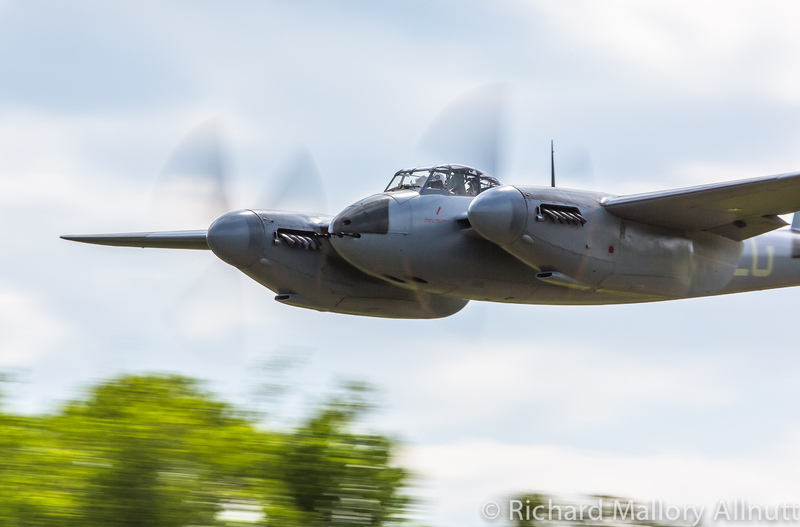 “I’ve been working on with Larry Hill and the guys at New Zealand Warbirds, to hopefully have a very special, and historic flight take place during the forum meet, and we are seeking some support. 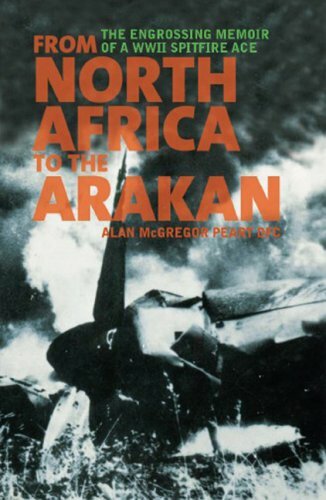 Alan Peart’s wartime story… a must read for anyone interested in WWII aerial combat! Click HERE to look inside. One of New Zealand’s most successful WWII airmen, RNZAF fighter ace Alan Peart DFC, recently turned 92, and when he mentioned to Larry that he’d like nothing more than to fly in a Spitfire again some day, it sparked an idea. So we have actually been working on a way to get Alan airborne in a Spitfire again for the first time in nearly seventy years. He flew Spitfires during WWII in England, North Africa, Malta, Sicily, Italy and Burma, in combat against the Germans, Italians and the Japanese. We looked into the possibilities, came up with a plan, and then told Alan we were going to do our best and try to make this happen. He is very keen – in fact really excited – at the prospect as it was something he never thought he would ever get the chance to do again, although it’s been a desire for a long time. Our main problem in achieving this goal is that such a flight, while certainly possible through Warbird Adventure Rides at Ardmore, it is rather expensive. Not to be deterred, we decided that the good folk on the forum and in the aviation community might just club together and help out too, so we launched the cause on the Give-a-Little web site. This was launched recently. We contacted some people we know and put up the information on the Wings Over New Zealand Forum, and boom! This thing has taken off! We have been humbled – in fact a bit gob-smacked – by the amazing response from the aviation community who’ve come forward to make Alan’s dream come true. After only two days we have received donations of close to $3,000! So we’re very nearly there! So we’re nearly at the target already but to speed things up we have decided to spread the net and email more forum members and people we know who are interested in New Zealand’s veterans. We acknowledge there are many more worthy causes than this, never-the-less it is a small thing that we can do for an outstanding New Zealander who has quietly committed his whole life to the service of his country. 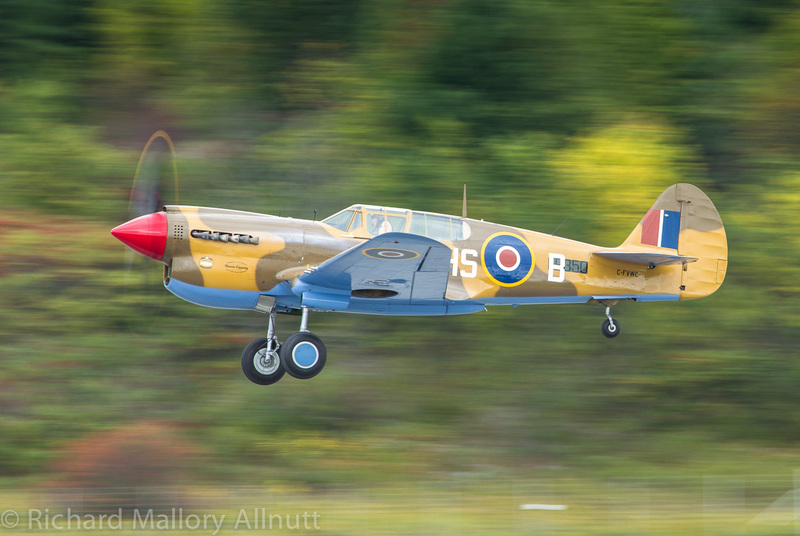 We would be very grateful if you could make even a small donation to help us achieve the goal of $3,500 to get Alan in the air in the Spitfire again. Don’t forget that should we raise the necessary cash to make this happen it will take place during our Forum Meet on the 28th of September, so if you’re attending the meet you can be there to see this historic flight take place. So register now for tickets to the meet by emailing me at dave_daasnz@hotmail.com. We’re also hoping get the TV News networks to film the Spitfire event as it’s not often that one of our old aviation warriors get back into the air in a Spitfire after 70 years. And Warbirds Over New Zealand will also be filming and recording the magic moment too. You can make a donation HERE which also provides a brief biography of Alan. More details for the Forum Meet event are HERE.